weapon of the infamous Undead Prince Ricard. Ricard's exploits are told in a monomyth. lands in a fateful ill-conceived journey. He became Undead, and disappeared up North. 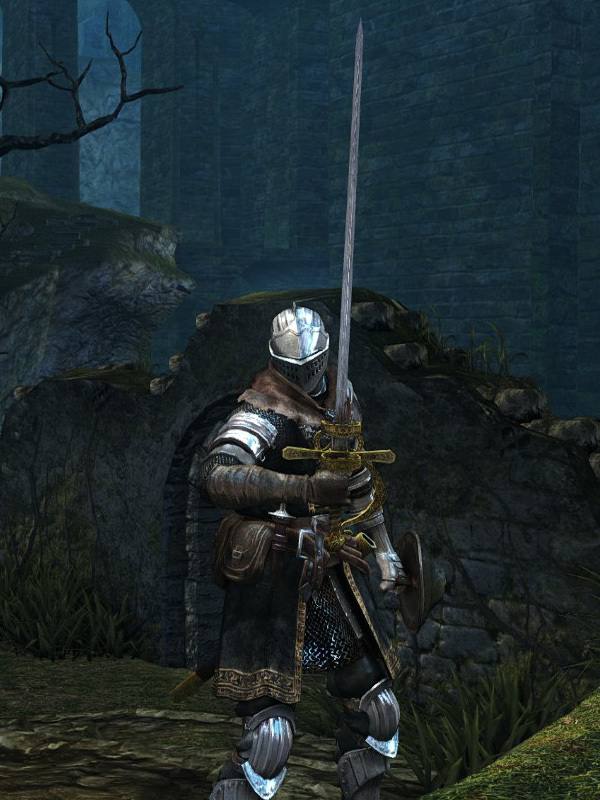 While most rapiers deal moderate damage in one hit, the strong attack of this rapier will spread damage over six quick thrusts. A successful combo is capable of dealing massive damage and building up poison when buffed with Rotten Pine Resin. Upgrading this weapon through the Normal path is highly recommended, as its damage can be amplified via use of resins and spells. Strong attack (1-handed & 2-handed) is replaced by a shortly-delayed double thrust, followed by four more thrusts, delivered at very high speed. 6% STR, 85% DEX scaling. Weapon durability reduced to 10. Base damage increased. Cannot repair weapon (except through reinforcement). 4% STR, 64% DEX scaling. 2% STR, 23% DEX, 66% INT scaling. 1% STR, 17% DEX, 64% INT scaling. Unknown additional amount of INT scaling. 2% STR, 33% DEX, 65% FAI scaling. Additional damage multiplier against unholy enemies. 2% STR, 31% DEX, 76% FAI scaling. Additional damage multiplier against holy enemies.